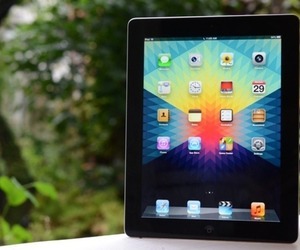 Just announced yesterday, Apple has said there will be yet another iPad option to buy. It's not enough there was the first generation, second, third, iPad Mini out there - but you now have another option if you need the massive additional space. Apple has just anounced a 128GB version of its fourth-generation iPad with Retina display — the Wi-Fi model costs $799, while the Wi-Fi plus LTE model costs a staggering $929 — which is nearly as much as the base model MacBook Air. The new iPad model isn't available in stores yet, but Apple says it will be on sale as of February 5th. Why do you think Apple has released such a giant-sized iPad? According to their press release, "AutoCAD files and multi-track music files — we've been seeing lots of evidence of the iPad's growing prominence in music-making, so it's not unreasonable to imagine those power users requiring more storage." For me personally, I think it's too much space and too expensive for the average user. Most people use iPads as a more conveneient way of browsing the web. Many might have downloaded movie files and might have some music on them, but 128GB is a lot of space to use. But I bet you this, there will be people buying it just because it's Apple. I'm not there yet, but I can understand how tempting it can be. Don't forget what kind of iPad you own or are thinking about buying, we insure them all.